There’s a Snowstorm Coming. Are You Ready? - Insuring Vermont Inc. The peaceful silence ushered in by the softly falling flakes of a snowstorm can be blissful. However, the reality of cleaning up, getting to work and living life after the snow falls can be stressful. 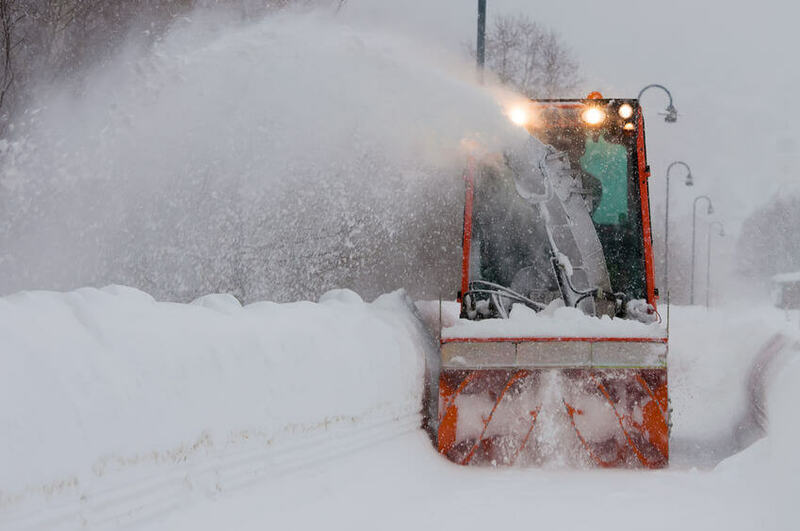 In this post we cover how to make sure you are prepared for the next snowstorm. Preparation is the best way to make sure you are in a position to enjoy the blissful quiet rather than worrying about the consequences. The steps you can take to prepare for a snowstorm include your family, home and car. We walk through each of these, giving you a simple checklist of items to address before the storm arrives. It’s critical to make sure your family is prepared and knows what to do when the storm hits. Follow the steps below as a guide for your preparation. Have a plan for communicating. You’re family may be in different locations when the storm hits. Know how you will reach each other. Charge cell phone batteries ahead of time. Pack an emergency kit with everything needed to survive a multi-day power outage. Include your pets in the emergency plan. Know how you will keep them warm, fed and hydrated during the storm. Plan for how you will power any special equipment you may need. Special equipment could be a space heater, refrigerator, medical equipment, etc. Have fuel stored for emergency equipment such as a generator. Some items for preparing your home for a snowstorm need to take place long in advance. For example, properly insulating the home and having a good roof. For the purposes of this post, we focus on the actions you can take in the short term. This check list includes items you can address in the time between the weather forecast showing a storm is headed your direction and when it arrives on your doorstep. Have alternative heat sources that you can rely on if the power goes out. Fix known issues ahead of time. For example, pipes in exterior walls or unheated areas that are prone to freezing should be addressed before the storm arrives. Stock up on fuel for heat. For example, dry fire wood, pellets, etc. Be sure to have a working carbon monoxide detector. Make your freezer into a cooler by freezing a gallon of water. The ice formed will keep the freezer cool and extend the time before food spoils. Most of the items for preparing your car should be done even if there isn’t a snowstorm on the way. Take this list and check off each item when you do the next annual safety inspection. That way you’re always prepared. Keep traction devices, such as chains, for your tires on hand. Make sure they are the right size for your tires. When the snowstorm arrives, you should stay inside. Do not go out into the elements where you will get colder and have a hard time warming up. Stay as warm as possible. Avoid driving if possible. You’re much safer staying inside your home. Even when you’re prepared to drive with good tires, you don’t know if other drivers are properly prepared. If you must go outside, dress properly. Dressing properly means have plenty of layers. Wear mittens since they are warmer than gloves (assuming the same amount of insulating material). Also, the old axiom that says you lose 40% of your heat through your head is not true. You do lose a lot of heat through your head, but that doesn’t mean you can wear a hat and no gloves. All portions of your body need to be covered to stay warm. Finally, and very importantly, stay dry. Avoid shoveling snow if possible. Shoveling snow can be extremely hard work. Unless you are young or stay in excellent shape, shoveling snow can lead to a heart attack. Also avoid drinking alcohol. While alcohol can give a feeling of warmth, in reality, it causes a loss of body heat. This is not what you want when it’s cold out and you’re without power. Low body temperature is one of the most common problems. This is known as frostbite or hypothermia. It’s important to watch for signs of both. For hypothermia, watch for slurred speech, extreme shivering, poor dexterity and drowsiness. Some people, particularly infants will turn a bright red color. If you see any of these signs, takes the person’s temperature. If the body temperature is ever below 95 degrees, get emergency help immediately. For frostbite, the core body temperature may not have fallen as much, however, the extremities are in immediate danger. Watch for numbness, a gray or yellow color to the skin and a strange feeling where the skin feels unusually firm. If any of these conditions are detected, get emergency help immediately. Whether it’s your home or your car, the easiest preparatory step to take is to make sure you have good insurance. Insurance is more difficult to measure quality for because most people haven’t filed a large claim. Therefore, they often think they have good insurance, but that may not be reality. This is why insurance companies spend so much money advertising. Advertising can be a very effective way to create perceptions when there isn’t much interaction that enables people to form their own opinion. Be sure not to find yourself in a situation where you think you’re insured, but when something happens, the insurance company won’t pay the claim. This unfortunate situation can happen for both car and auto insurance. Therefore you need to check both. Click the buttons below to get a free report on either your auto or home insurance. If the insurance is good, tell a friend. If it’s not good, change companies. The more consumers that change companies, the more the bad companies will be forced to improve to keep the rest of their customers. Free Car Insurance Report Card! Free Home Insurance Report Card! Note: ValChoice does not receive any form of compensation from insurance companies for presenting them as a good option in our car and home insurance reports.